Dairy NSW, operating since 1996, develops strategic direction for New South Wales dairy research, development and extension programs. 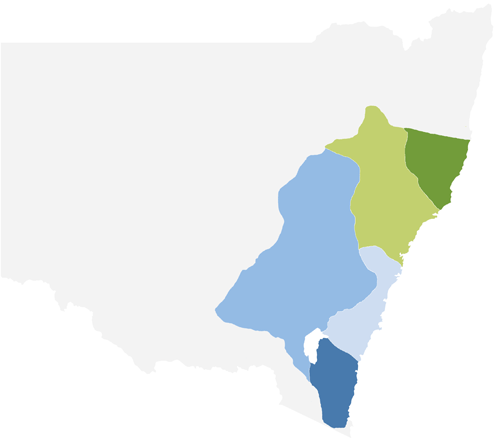 Dairy NSW is the largest dairy farmer Regional Development Program (RDP) in NSW - covering the inland and coastal regions between the state`s far south coast and the Macleay River on the mid coast. It receives core funding from Dairy Australia and the dairy service levy. Dairy NSW is one of eight Dairy Australia (DA) Regional Development Programs (RDPs) that operate in the nation’s key dairying areas. Dairy NSW, operating since 1996, develops strategic direction for the southern, central and south to mid coast areas of NSW relating to dairy research, development, extension and education (RDE&E) programs. The organisation invests in a range of projects that align to its key priorities. Dairy NSW actively seeks investment partners and funding opportunities to assist in the delivery of dairy based RDE&E programs. Dairy NSW monitors the success of these projects and their ability to make tangible industry returns on investment. Dairy NSW works closely with farm policy organisations, government agencies, milk processors, other RDPs and the dairy service industry to identify and develop priorities for the development and sustainability of the state’s dairy industry. 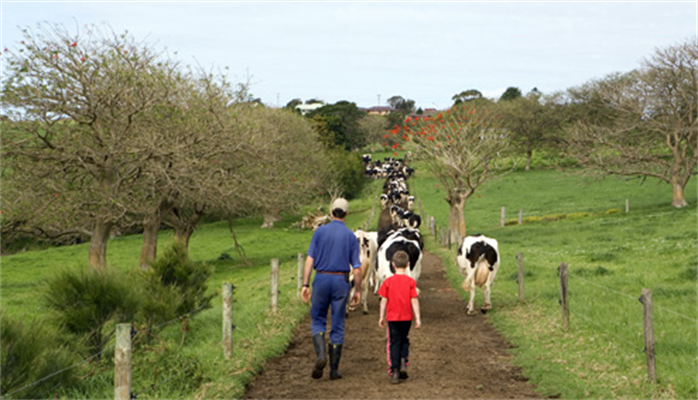 Dairy NSW is governed by a skills based board of between 6 and 8 people. The current 8 member Board is made up of people with substantial skills in farming, industry, business and governance as well as having a broad and substantial dairy farmer contact base. Five Regional Dairy Groups (RDGs) operate within the Dairy NSW region conducting activities relevant to the dairy industry in their individual regions. Whilst RDGs are separate legal entities and operate as such, Dairy NSW provides support and assistance to the groups via resources and supplementary funding from its Small Project Applications budget allocation. These resources and funding are seen as ‘seeds’ to encourage and assist the RDGs to undertake additional projects and initiatives (ie non Dairy NSW funded) which are of particular relevance or significance to the dairy farmers in their areas. RDGs are also Dairy NSW ears and eyes on the ground and provide a direct link between the dairy farmers in the region and Dairy NSW. Dairy farmer concerns and initiatives are relayed through their relevant RDG to Dairy NSW for consideration and incorporation into (where relevant) statewide priorities.